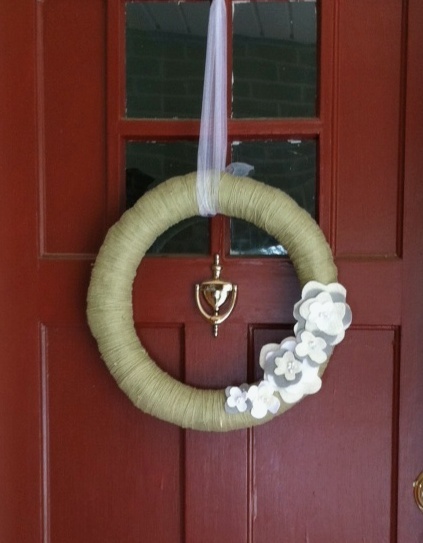 I thought I would share a photo of my friend Ginny’s wreath. She used a soft green yarn and white, cream, and gray felt to make her flowers. Isn’t her wreath beautiful?! I think it looks perfect on her front door.